Are you wondering how to get into nursing school? The process is pretty straightforward for most students. You just need to follow these 6 steps. Find a nursing school that meets your needs and expectations. Apply to your chosen nursing programs. Attending information sessions about nursing. Seems pretty simple, right? Unfortunately there’s a little more to each step that must be considered if you want your nursing school application to have the best possible chance of being accepted. Let’s take a closer look at each step. Most nursing schools are going to want to see you have a GPA of over 3.0 for your application to be accepted. Some nursing schools reportedly accept students with a GPA of 2.5 and having a GED may also be an option. If you want to get into the best schools, however, you’ll need to have the highest GPA you can achieve. 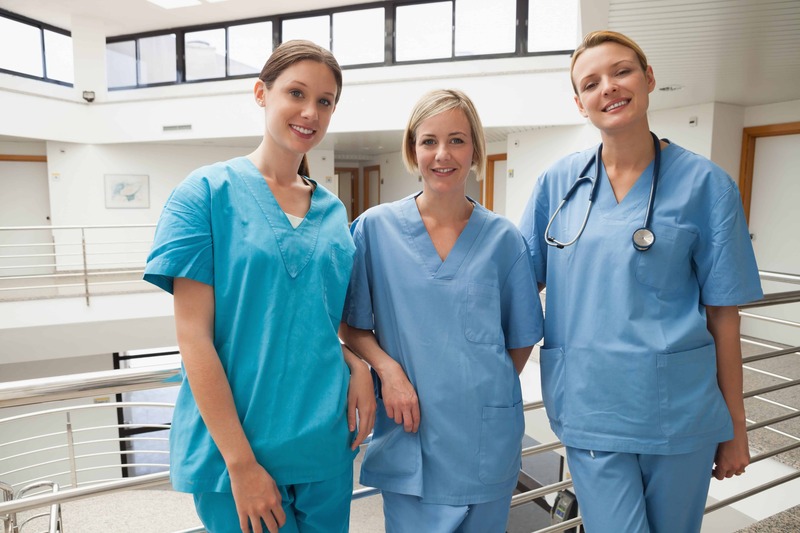 There are numerous nursing programs that are available today at many prestigious schools. You can pursue an entry-level nursing degree at the associate’s level to get you started with some basic lab skills and clinical practices. There are also bachelor’s programs that will help you achieve the goal of becoming a Registered Nurse (RN) or a Licensed Practical Nurse (LPN) with greater ease. Nurses who want to pursue a family practice, midwifery, or advanced public health can also choose a Masters of Science in Nursing. US News and World Report ranks the best nursing schools annually, helping you find the right program at the right tuition cost for your needs. Your application to a nursing school will want you to fill out your educational accomplishments, talk about your volunteering and extracurricular activities, but also ask you to write a personal essay. The nursing school essay is often the one part of the application that trips up applicants. A poor statement can cause a competitive candidate to be rejected. 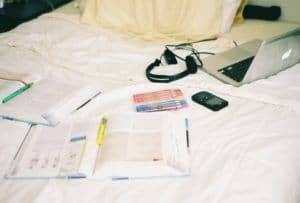 Avoid common mistakes on this essay like forgetting to talk about why you love nursing in the first place and you’ll find that applying to your chosen program is easier than you may have thought. Your chosen nursing school is going to offer some sort of pre-nursing advising workshop. It’s a good idea to plan on attending at least one of these information sessions to see if the school will meet your educational wants and needs. These sessions are often short: Bellevue College, for example, offers a 75 minute session with an optional 15 Q&A session with current students afterward. If you want to receive an education in nursing, then the Test of Essential Academic Skills (TEAS) is an essential step in the pre-admittance process. ATI Testing offers you the opportunity to take a practice TEAS V test online, use online studying packages, and other helpful options to help increase your scores on the exam. The TEAS also offers comprehensive testing and assessments based on common nursing curriculum to help you gauge your overall progress within the field as well. A passing TEAS V score is at least 62%. Some nursing schools will not let applicants apply if they did not achieve a 75% score – and some requirements are even higher. Your results will offer you a look at your results compared to the national averages so you know what percentile you fall into. A higher percentile equates to a greater chance of getting into nursing school. Please Note: Starting August 31, 2016 ATI Testing will be offering the TEAS VI instead of the TEAS V. The requirements are expected to be similar to the TEAS V for admissions processing. There isn’t some secret to knowing how to pass your nursing school entrance interview. You will find that many programs tend to ask many common questions to their applicants. AllNurses offers a look at 16 common nursing school interview questions and good answers to consider offering. The best advice will always be to just be yourself. Working in the medical field requires people to be authentic, dedicated, and have a love for serving others. If you can communicate this, then your answers don’t have to be 100% perfect for a good chance at being selected. Getting into nursing school can be a challenge sometimes, especially if you’re trying to get into one of the best nursing schools in the country. Work hard, focus on these six steps, and you’ll maximize the potential of receiving an acceptance letter to the school of your choice.